École Secondaire Foothills Composite High School and Alberta High School of Fine Arts (FCHS) is proud to offer CrossFit. CrossFit Positive Impact (CFPI) is a non-profit school affiliate approved by CrossFit Inc. FCHS is part of Foothills School Division #38. 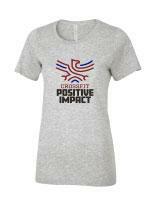 CrossFit Positive Impact runs the CrossFit program during the school year through the before/during/after school program and during summer break. Only FCHS students and staff are eligible to participate. The 2019 CrossFit Open begins February 21, 2019. CFPI will run Open Competition WOD's on Friday afternoons (beginning Feb. 22nd) for five weeks. If you are a FCHS student or staff member, please go to: www.games.crossfit.com and sign up to test your fitness against the rest of the world! 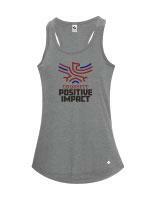 CrossFit Positive Impact gear is now available at the FCHS Online Store. 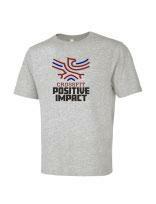 Please click here to view our shirts and hoodies! CHECK US OUT ON INSTAGRAM! Coach will update the IG account regularly with pictures and video. Smash that "like" button! A special thank you goes out to Dave Deibert who designed our logo and t-shirts/hoodies! We will have amazing choices for our athletes. 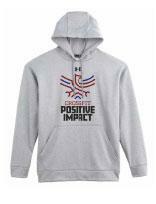 If you're interested in buying the hoodie or any of our t-shirts, please go to the FCHS Online Store! Get Ready to SPLASH, MASH and DASH. The Falcon Triathlon Club will be up and running in February, 2019. The race season begins March and will wrap up mid-July.